Last year, the first commercial-quality footage of the Earth from outer space was shot on a Sony Alpha a7S II. And now, the same camera was used for the first ever Hollywood feature-length movie shot on a full-frame mirrorless. A new horror thriller The Possession of Hannah Grace was not shot on a high-end movie camera but on a $2,200 Sony mirrorless. If you’ve been working in Hollywood lately and noticed a piece of equipment disappearing here and there, it might currently be in Argentina. Sky News reports that a huge haul estimated to be worth around $3 million has been discovered in Argentine as part of a cooperative investigation by the FBI, US Police, US Embassy and Argentinian Federal Police. The haul seems to be primarily Arri equipment, although there seems to be a fair bit of Canon & Sony kit, too, judging from the video posted by Sky News. Argentinian police say that the equipment was being targeted in Hollywood and other US cities before being smuggled into the country. It was then being sold to local gear rental companies. 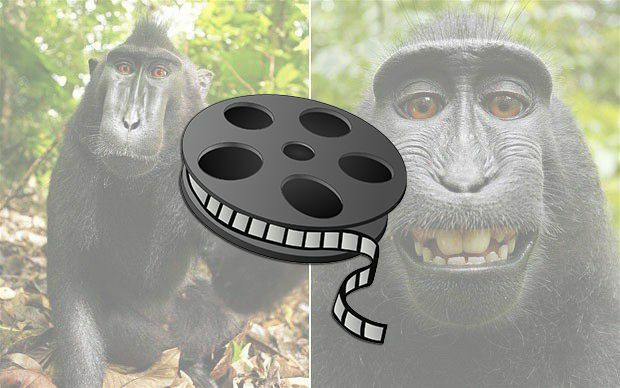 Ah, the infamous “monkey selfie” case has finally ended after a court ruled that monkeys can’t be copyright owners… But, now that the case is closed we might soon see the entire story on the big screen. Reportedly, Conde Nast Entertainment has bought the life rights for David Slater and wants to create a movie about this unusual legal case. I’m a sucker for old glass. Whether for stills or video, I’ve always been a big believer that the lens plays a massive part in getting “the film look”. It’s why I often shoot video and stills with old M42 and Nikon Ai-S lenses. Older glass just has character that modern lenses do not. Modern lenses are too perfect, too clinical. In this video, DP Jody Eldred visits filmmaker Todd Fisher (brother of Carrie) to test out some of cinema’s most famous lenses. Or at least, lenses that shot some of its most famous movies, including The Godfather, The Shining and Casablanca. He tests each of them with a Blackmagic Ursa Mini Pro 4.6K, to see just how much of an effect each lens has on the image. We’re constantly being told that “it’s not about the gear”, and to just go out and create with what we have. Typically by people with access to all the gear they could ever want. When Hollywood director Stephen Soderbergh recently held a Reddit AMA, he gave this exact same advice. So, it’s nice, then, to see one of them, quite literally, putting their money where their mouth is. Hollywood trade publication Tracking Board reports that Oscar-winning director Stephen Soderbergh has just shot his latest film in secret using an iPhone. Located at the foothills of the Blue Ridge Mountains in Virginia, the Library of Congress Packard Campus was originally built as a nuclear bunker. It stored $4 billion in gold, and would’ve been the location to which the President would have been taken had the need arisen during the Cold War. Now that this potential need no longer exists, it is home to 6.3 million pieces of the Library of Congress’ movie, TV and sound collection. It has miles of shelves, 35 climate controlled vaults for sound recordings, safety film and video tape and 124 individual vaults for flammable nitrate film. It’s also a complete lab for the preservation and restoration of cinema’s finest moments. In this video, we get to take a look inside the Packard Campus, and see some of the archives and restoration rooms. I always thought being the stills shooter on a movie set would be such great fun. It probably is, too. But when one hears stories and sees footage of them in action one quickly realises how stressful it is. Under constant pressure to get the shot, it must be perfect every time. Your images are going to sell the entire movie to the general public. You need to not only get the technical side perfect, you need to capture the mood and spirit of the characters, too. In this two part video interview from AdoramaTV, we peek into the life of world renowned movie stills photographer Aidan Monaghan. It’s interesting to hear how his career evolved from architecture to landscape, then theatre, and how it all helped him get started shooting movies.